We welcome you on the site of the journal "The Oncology and Radiology of Kazakhstan". The main direction of our publication is oncology: the organization of the service, epidemiology, diagnosis, treatment, and prevention. The journal is addressed to a wide audience of readers: scientists, clinicians, teachers, doctoral students, residents, and students. We are glad to cooperate with all interested parties. We invite you to publish the results of your research in our journal. 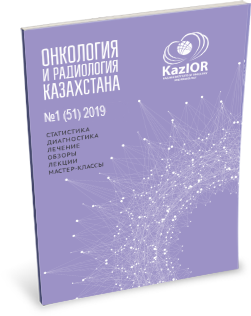 The journal "The Oncology and Radiology of Kazakhstan" is indexed in the Kazakhstan and Russian bases of scientific citation and has a non-zero impact factor. 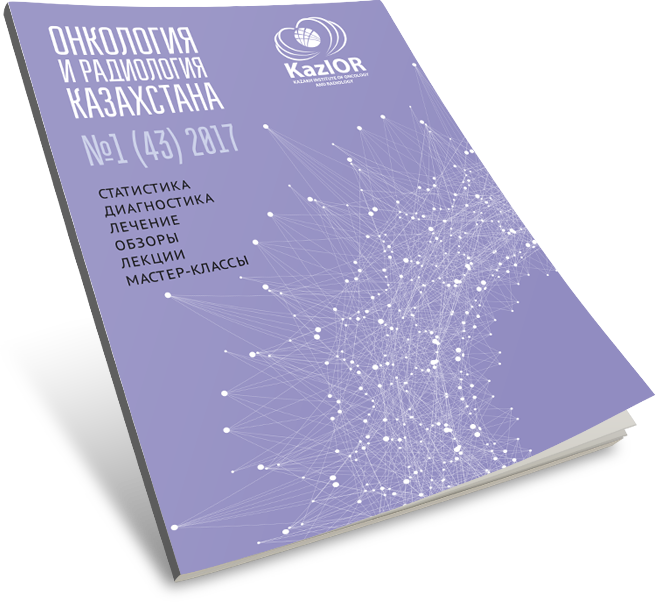 "The Oncology and Radiology of Kazakhstanis the official journal of the Kazakh Institute of Oncology and Radiology, was based in 2002 year. The journal is dedicated to problems of Oncology. The thematic direction of the scientific publication:the organization of Oncology service, the epidemiology of oncology diseases, the prevention of tumor diseases, the diagnostics of pretumor and tumor diseases, answers of clinical Oncology, the radiation therapy, the experimental Oncology and Radiobiology. The psychosocial assistance in oncology service. The preparation of stuff for oncology service. The journal "The Oncology and Radiology of Kazakhstan" is addressed a wide audience of readers: scientists, clinicians, teachers, doctoral students, residents, and students. The journal's website (oncojournal.kz) has an open full-texted access to papers and annotations (in Russian, Kazakh, English languages) the printed version of the journal "The Oncology and Radiology of Kazakhstan," has been produced from 2010.The previous numbers (from 2002).are at the library of the Institute of Oncology and Radiology. the website of the journal: oncojournal.kz. The journal is published 1 time per 3 months.